Next Volvo Ocean Race: without imagination and creativity! 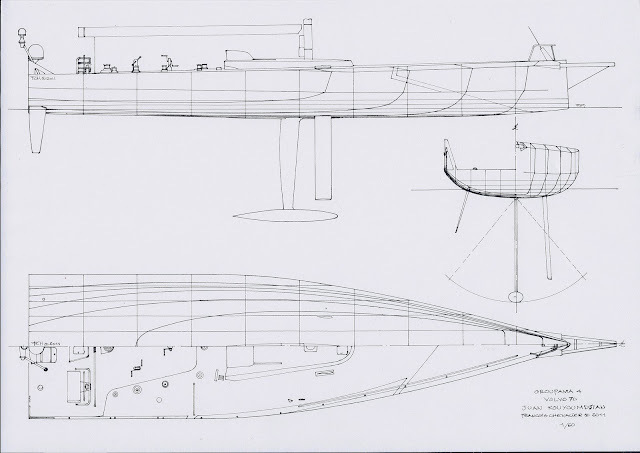 Today, June 28th 2012, we all discover with chagrin the one-design racer for the two next Volvo Ocean Races: a 65 feet… (see below the first data calculated by François Chevalier from the drawings published that day on the official website of the race). 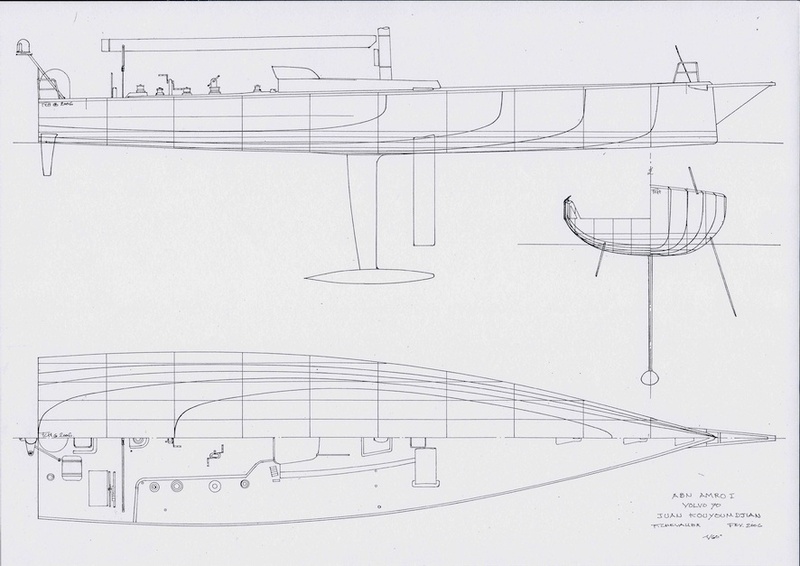 The design required has been drawn by Farr Yacht Design (USA) and only three shipyards will be allowed to build. It is true that Farr has behind him a prestigious past, his team did not exactly cover itself in glory in this race these last 18 years! Now the two next Volvo will not allow innovation, creativity, and designers’ talent, especially young designers as Juan K their leader… It’s true that Juan has won the two last Volvo and he is well on the road to winning a third one. Regrettably he will be no more involved in this superb competition! When a new race will be organize in which the rule – with all security constraints required – will give room to inspiration, extravagance, creativity? We hope soon! Volvo Ocean Race : halte à l’imagination et à la créativité ! 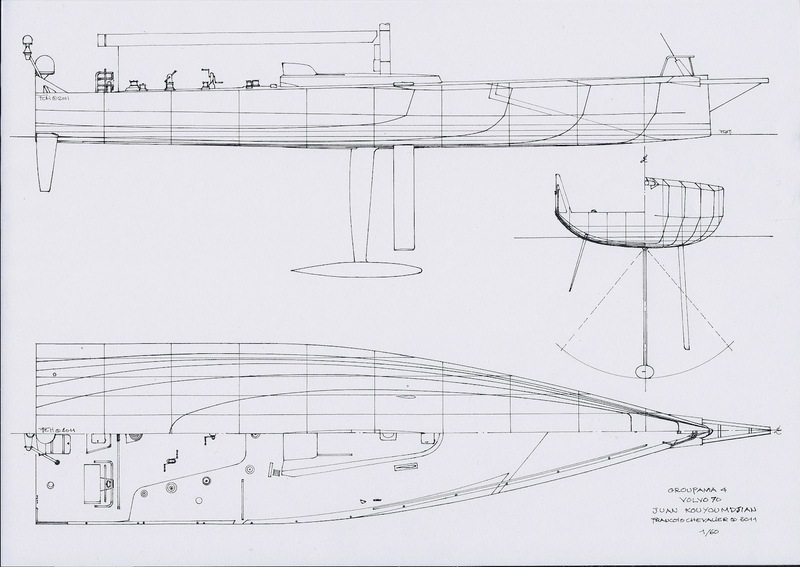 Le plan imposé est celui conçu par Farr Yacht Design (USA) que seuls trois chantiers seront habilités à construire. S’il est vrai que Farr a derrière lui un passé prestigieux il n’a pas vraiment brillé dans cette épreuve depuis 18 ans ! Désormais, les deux prochaines Volvo ne feront plus place à l’innovation, à la créativité, au talent des designers et, en particulier, aux jeunes architectes dont Juan K est le chef de file... Il est vrai que Juan a gagné les deux dernières Volvo et qu’il est bien parti pour faire la passe de trois. Et pourtant, il n’aura plus voix au chapitre. C'est regrettable ! A quand une nouvelle épreuve où la règle – avec toutes les contraintes de sécurité qui s’imposent – laissera place à l’inspiration, à l’extravagance, à la création ? Espérons tous pour bientôt ! Alors, pour votre plaisir et le notre, admirons une fois encore les lignes d’ABN Amro I 2005-2006 et de Groupama IV en tête au général à Lorient (2011-2012), avant dernière étape avant l'arrivée finale ! THE LINES OF ETNZ AC72 HULL, DRAWN BY FRANÇOIS CHEVALIER! We are pleased to present an exceptional and exclusive design. 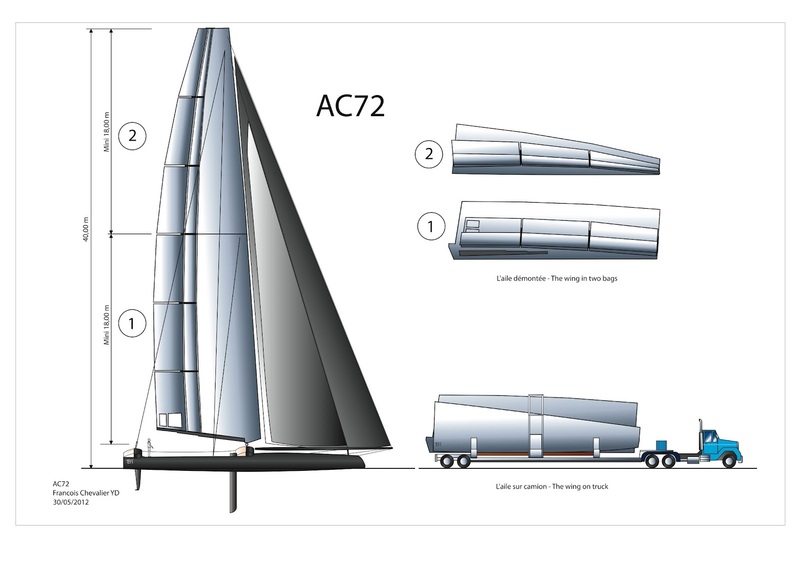 Also thanks to our friends of http://www.cupinfo.com/ who have published photos, it is possible to show you the first lines of the TNZ AC72 hull. It is interesting to see how the designers try to comply with the rules. So, the forward hull surface should have a minimum (AC72 Rule). Amongst others, it is a guarantee to preserve a significant buoyancy reserve. 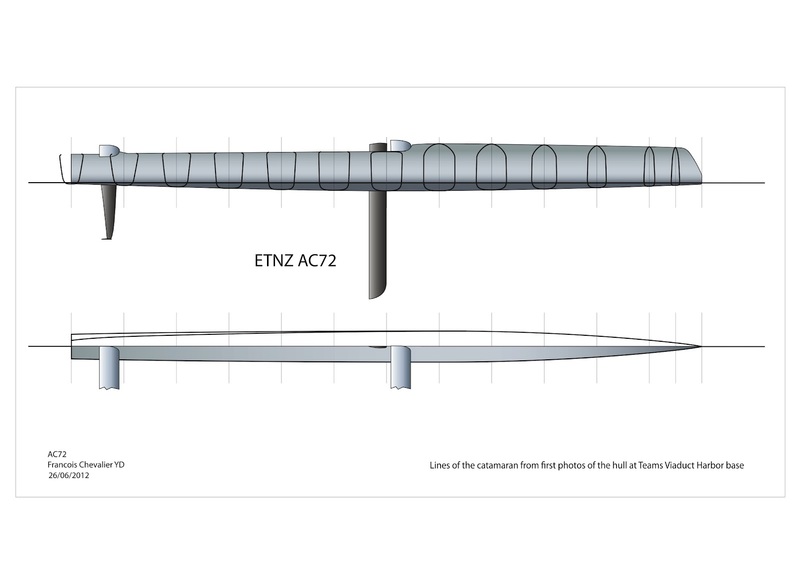 But the shape of the forward sections (ETNZ hull) shows how to divert the rule by arcing away the hull from the load waterline. 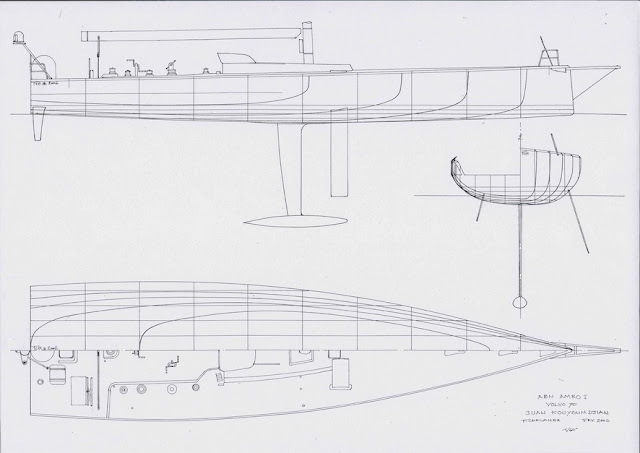 The upper (top) part of the forward hull is narrower. There are several advantages as reducing wind resistance and allowing water to escape more quickly. Another point: the maximum beam is rather forward. So the lines are tight on their aft part. And for the fun, please have a look on the US truck that delivered the wingsail and the biggest hull crossbeams last June 12th, 2012 to Oracle Team at Pier 80 in South San Francisco. Wing and crossbeams have been constructed by Core Builders Composites in Warkworth, NZ. The hulls have been built in USA, as the America's Cup Rules require. Hulls, crossbeams and wingsail should be assembled BUT under Cup rules, Oracle can't launch the first defender AC72 before July 1st... The first cat sailing tests should start next August.